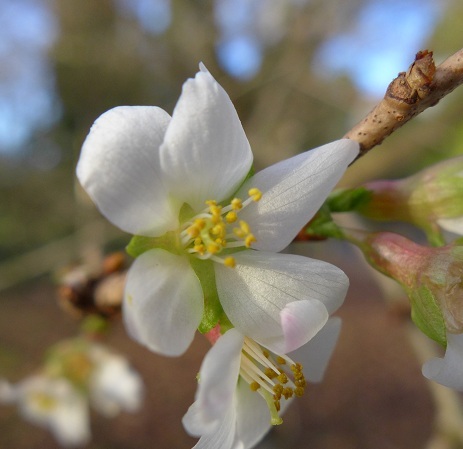 A garden in winter : worthy or worthless ? Winter has come. Plants die, days are short and gloomy, everyone is supposed to hide under blankets watching some old movie on TV. Many gardens close : after all, who would like to brave the cold to see dead flower heads and brown leaves? I do not agree with that! Gardens might not be as colourful and lush as in summer, but they can still look spectactular. 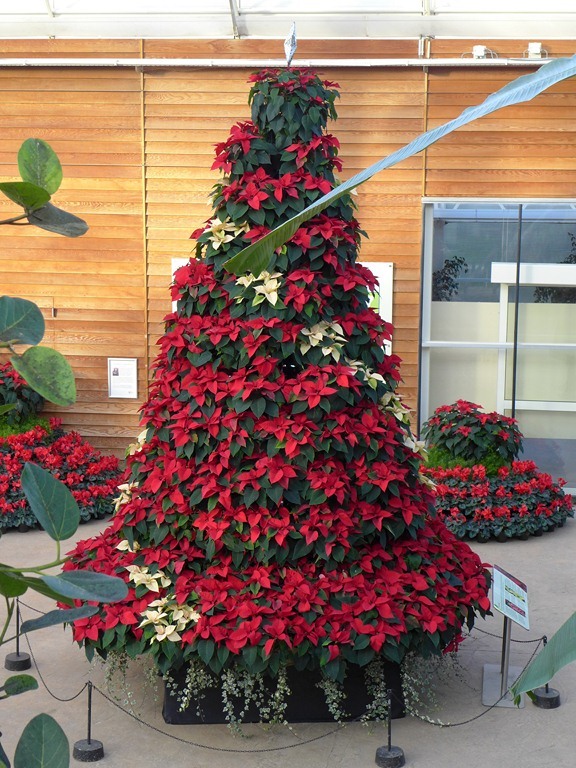 Here’s Wisley Gardens, the flagship garden of the RHS two weeks ago. Dogwoods (Cornus) are displaying their fiery orange and red stems around the Seven Acres lakes. 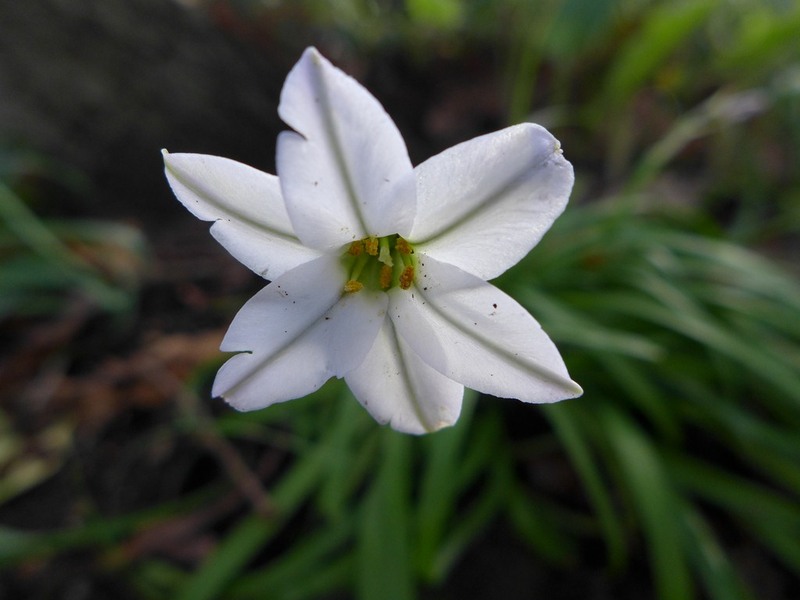 Winter flowers like this Ipheion (a South American bulb that can naturalize easily) provide splashes of colour, as can fruits. 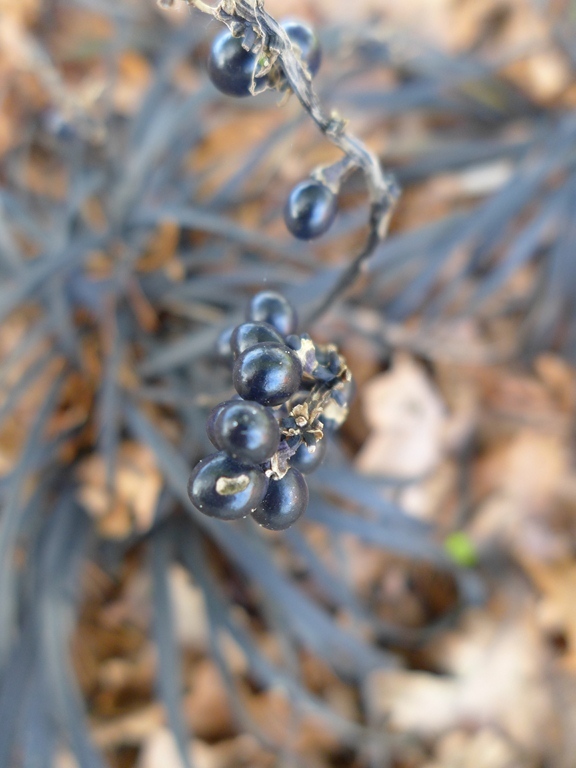 These purple-black berries belong to Ophiopogon planiscapus ‘Nigrescens’ (also called Mondo grass…although it’s not really a grass! 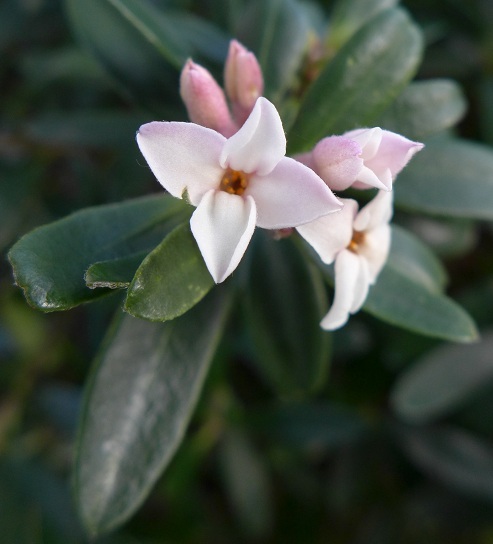 ), a perennial native to Japan with the most wonderful black leaves. 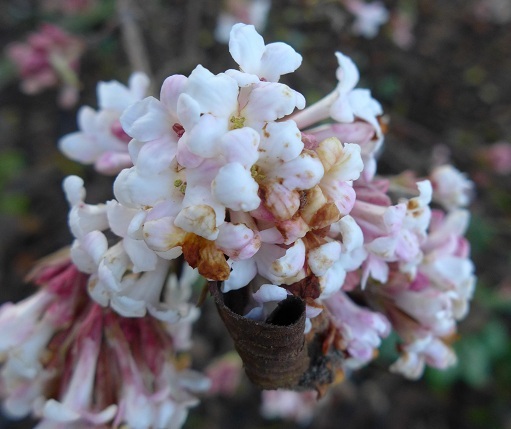 Shrubs and trees can also bloom early and lighten up the winter months : Daphne (a small shrub with pink and very fragrant flowers), Viburnum (Arrowwood, as the long branches were once used to make arrows) and even Prunus (here, a very-early flowering cherry tree, as its name states : Prunus incisa ‘Praecox’). 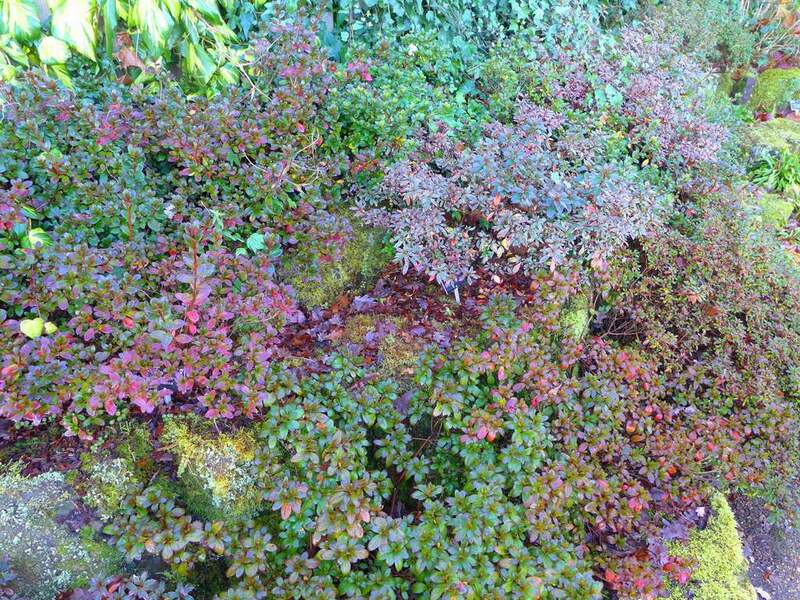 Rhododendrons will not be flowering until spring, but already show a great variety of colours in their leaves. 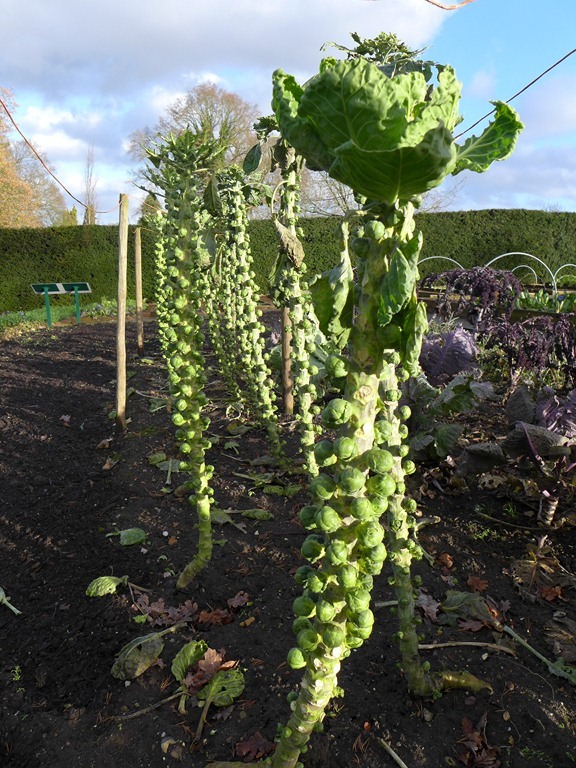 The traditional Brussels sprouts (ever wondered why “Brussels”? 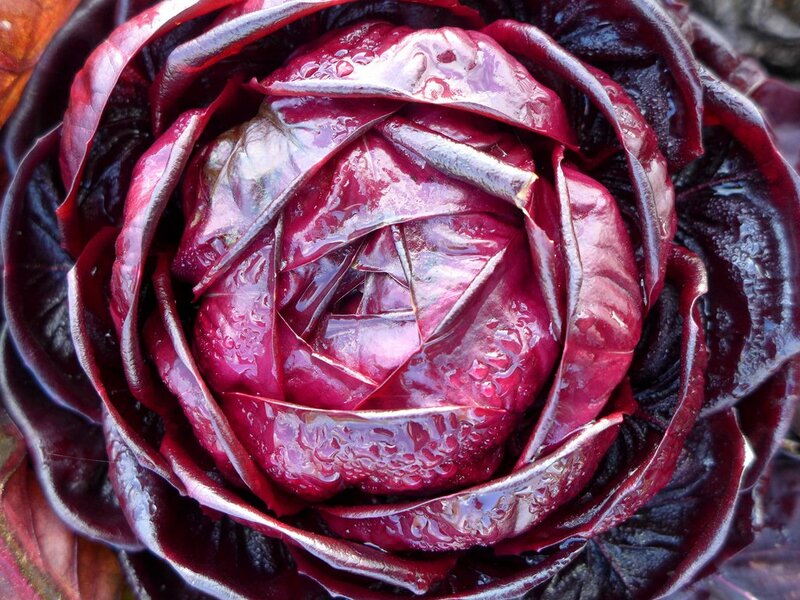 Apparently, they have been first grown in Belgium as early as the 15th century!) and a variety of chinese cabbage called ‘One Kilo’ (unsurprisingly, the heads weigh up to one kilogram). 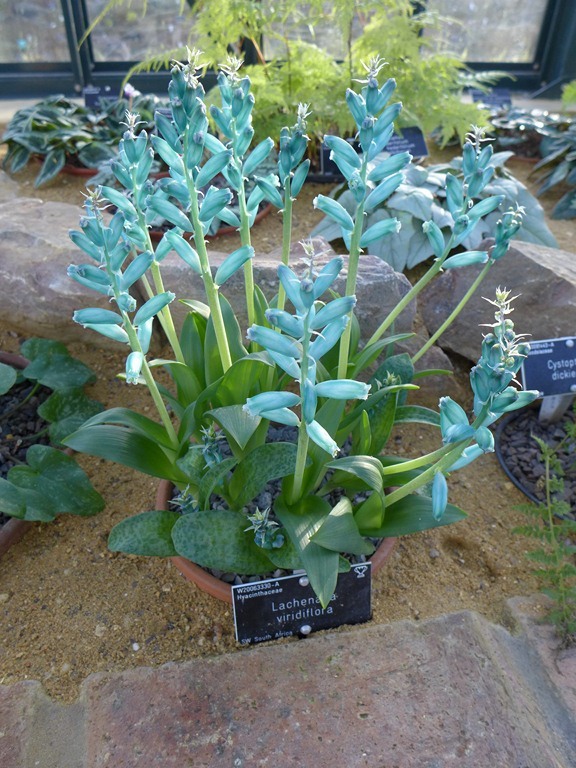 The next stop is the oh-so-lovely Alpine House. 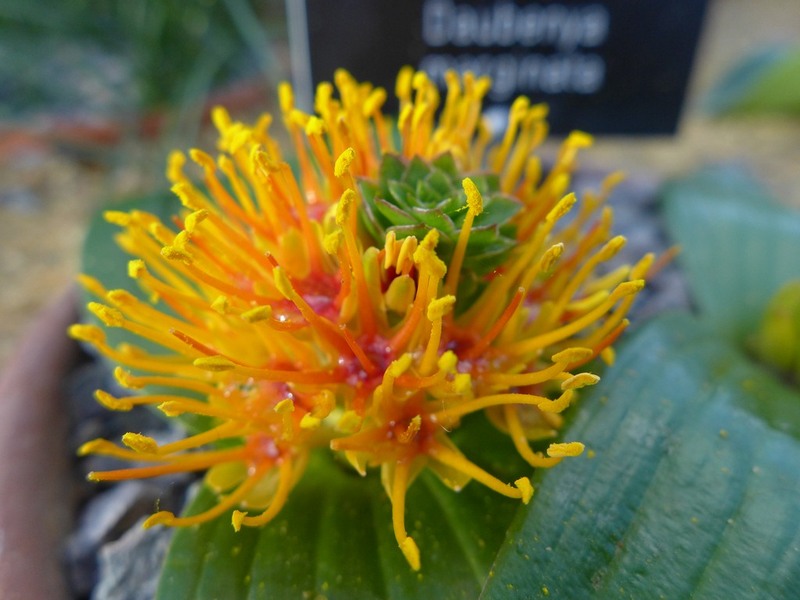 Flowering is often short in alpine plants, so every visit to Wisley guarantees new discoveries. 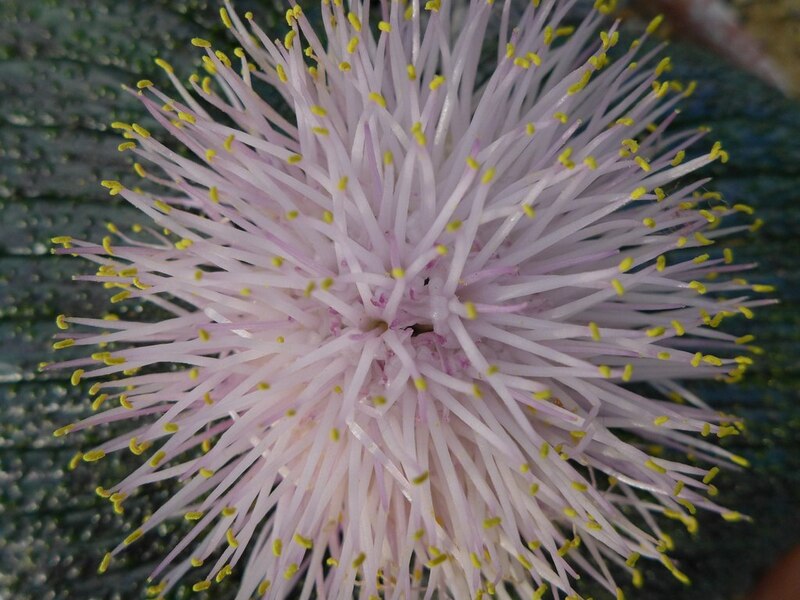 Two closely-related bulb species native of South Africa and threatened in the wild : Massonia pustulata (see the pimples on the leaves?) and Daubenya marginata. 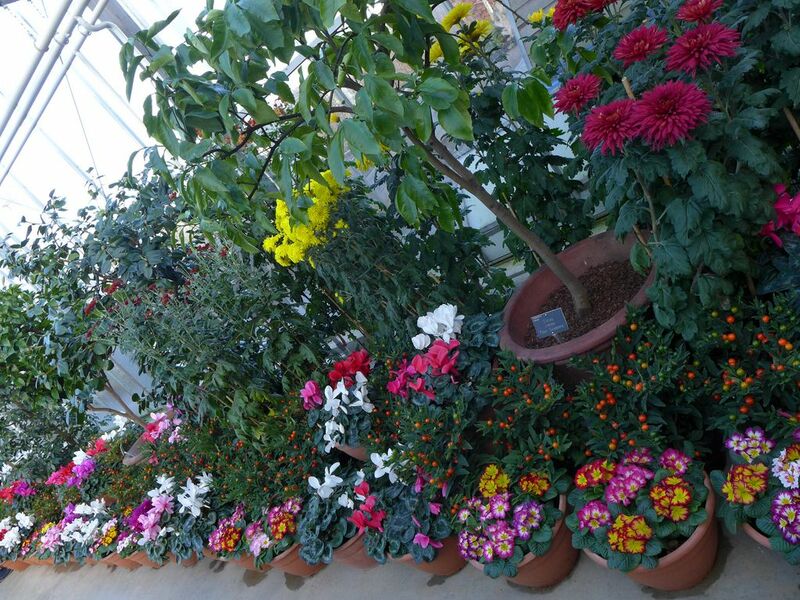 In the cool greenhouse, a colourful display of primroses, cyclamens and chrysanthemums with the sweet smell of citrus trees flowering in the background. Next Post How do bats cross a motorway? – the results! Hear, hear! Gardens are always worthy. I’m relying on the birds to provide the colour in my garden right now and they’re not letting me down. Me too! 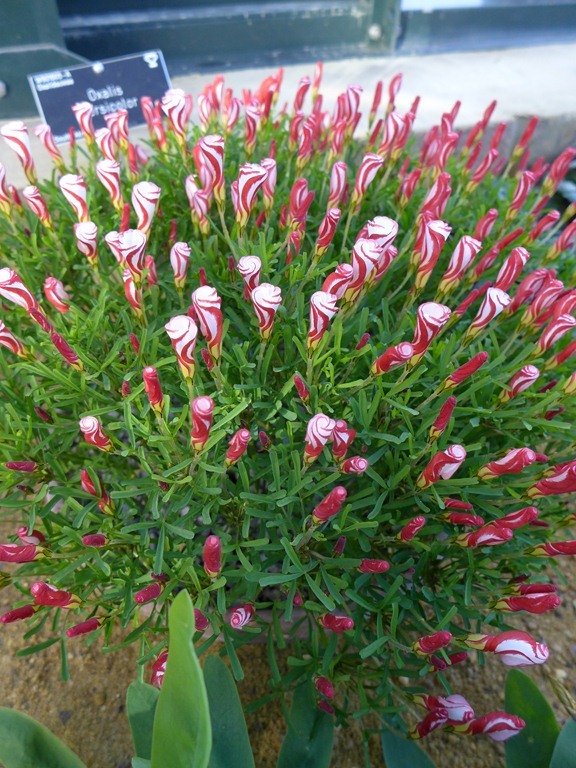 It’s only half-hardy, so restricted to frost-free greenhouses, but it still looks great in pots. Did you see that there will be butterflies in the glasshouse? I think it’s from this coming weekend. Thank you for following my blog! Much appreciated! You have a very nice blog! Wish you all the best in your future endeavours! on few general things, The web site style is wonderful, the articles is really excellent : D.